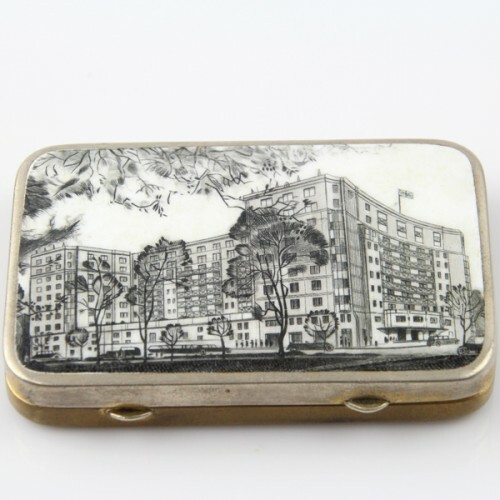 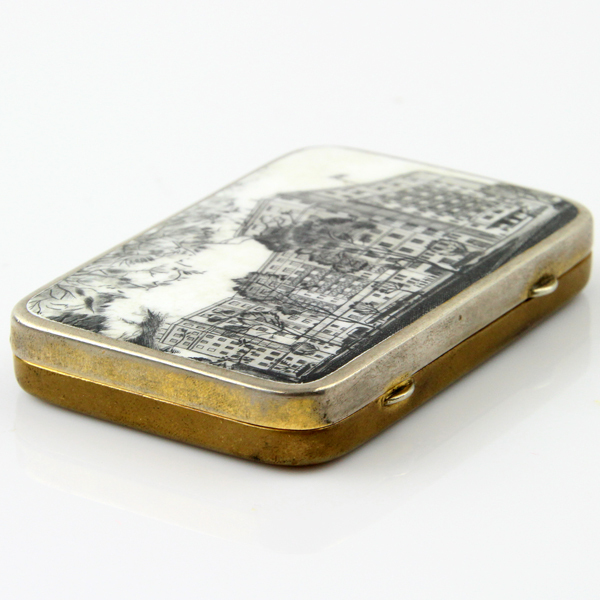 Of rectangular form with beautiful black and white enamel workmanship depicting the famous Dorchester hotel in London. 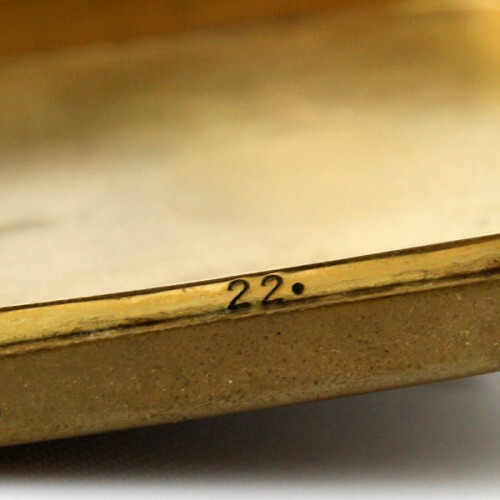 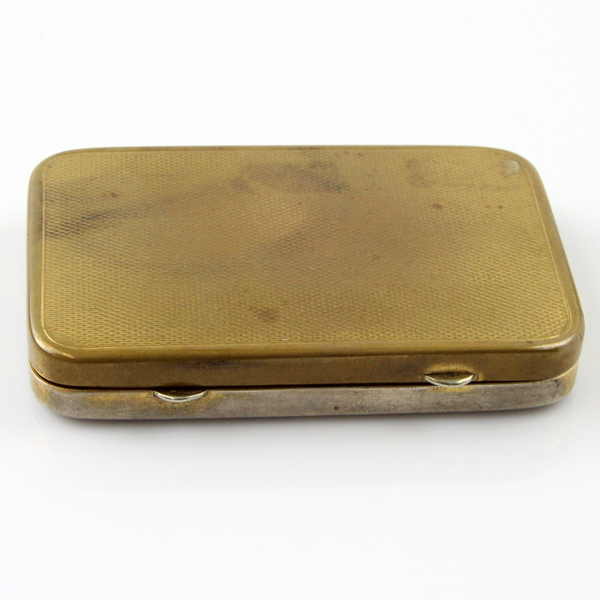 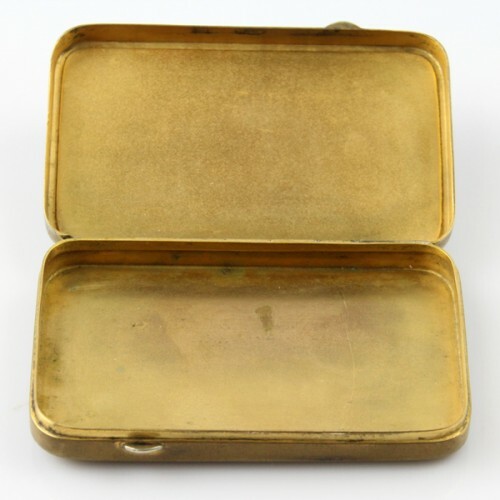 Very good condition, some loss of gilt. 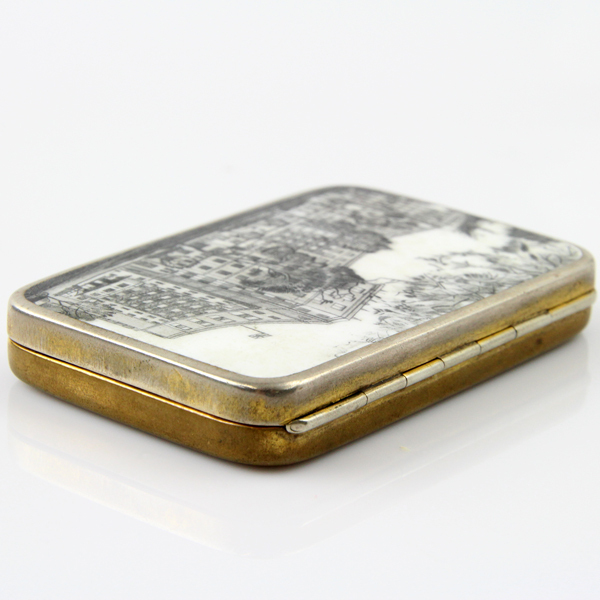 8cm X 5.5cm / 3.15in X 2.16in.